Boost Your Productivity & Enjoy Freedom! CHECK OUT THE TUTORIAL ON HOW OUR AIRBNB PROPERTY MANAGEMENT SOFTWARE CAN TRANSFORM YOUR BUSINESS. Manage all of your accounts in one place. Use single online platform to organize and control multiple Airbnb accounts without the headache of logging in and out. View and edit all of your Airbnb listings from multiple accounts in one app. Seamless account integration for maximum productivity. Never miss a message again. View, send and reply to messages from all of your guests using powerful Airbnb central inbox feature. Effortlessly keep tabs on the daily calendar activities of your rentals from multiple Airbnb accounts. 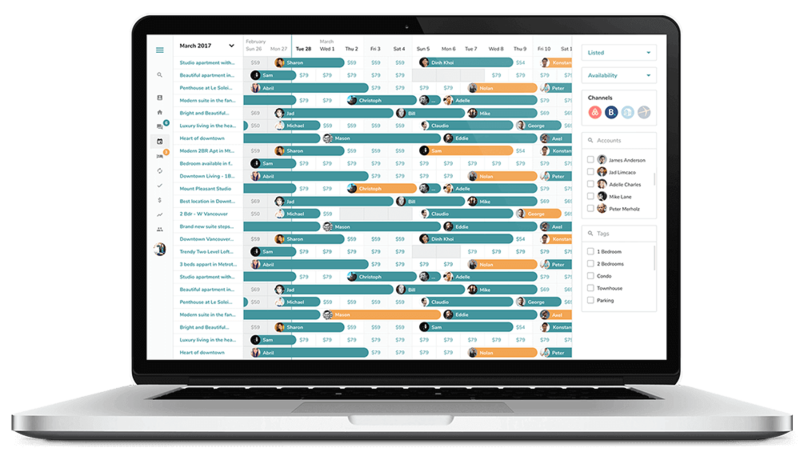 Review and edit bookings, change prices and manage calendar availability with ease. Sophisticated booking dashboard to manage all reservations. Accept or reject incoming bookings, view and edit confirmed reservations. Use our innovative filter tool to make Airbnb booking management simple again. Airbnb communication and price management made simple. Automate guest relations, price adjustments and guests reviews to save time, increase revenue and keep your Airbnb response rates high. Manage bookings and reservations from 3rd Party platforms. Sync all calendar data from VRBO, HomeAway, Booking.com, TripAdvisor and many other short-term rental booking platform. Delegate responsibilities amongst your team and increase overall Airbnb business productivity by taking advantage of our task management solution. Distribute tasks with deadlines to your support staff. 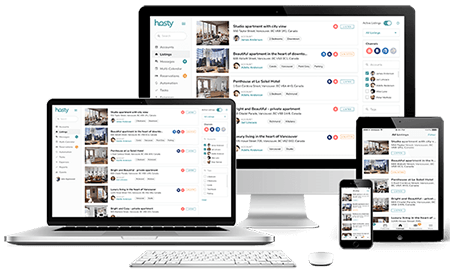 Hosty is a Game Changing Software in Airbnb Management Industry.